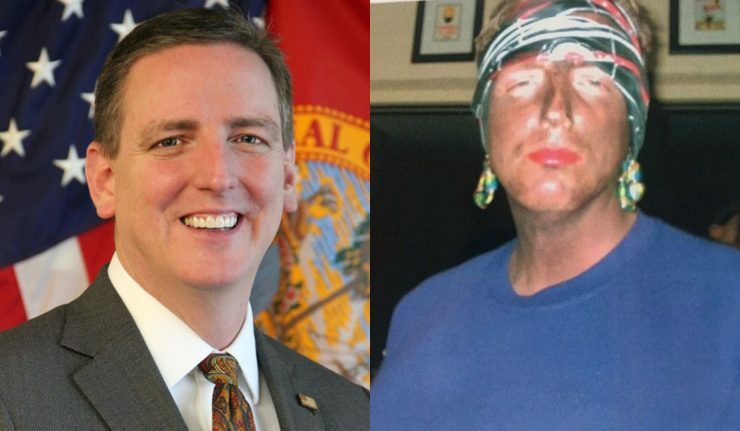 January 24th, 2019 – Florida Secretary of State Michael Ertel resigned Thursday after photos surfaced of him wearing blackface and mocking Hurricane Katrina victims in 2005. The photos found their way into the hands of reporters at the Tallahassee Democrat and were verified by Ertel himself last week. They show a then-35-year-old Ertel at a private Halloween party just two months after Hurricane Katrina wreaked havoc on New Orleans. 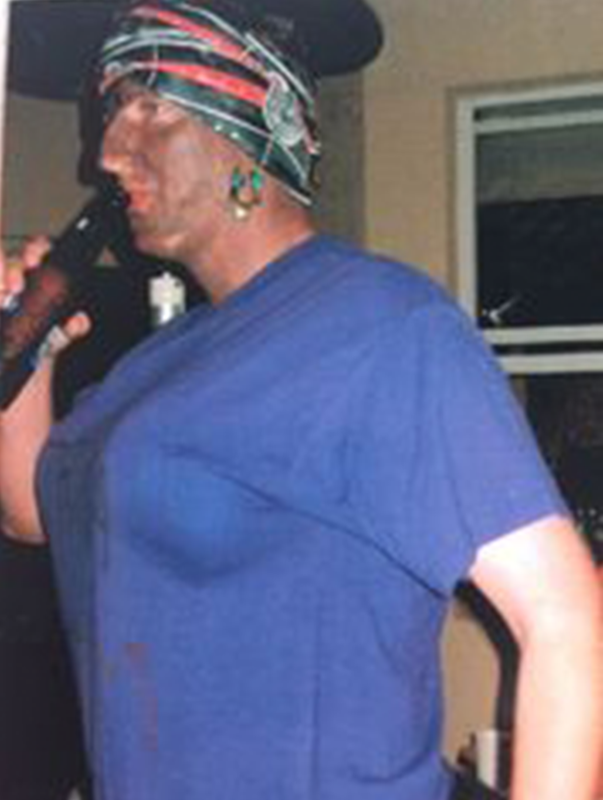 At the time, he was serving as the Seminole County supervisor of elections and was spotted celebrating the holiday in blackface makeup, red lipstick, earrings, a New Orleans Saints headwrap, and fake breasts. Ertel also wore a purple shirt with the phrase “Katrina Victim” on the front. The Democrat texted the photos to Ertel last week before sharing them with the Governor’s office today. While the former official confirmed his identity, he was pretty tight lipped about details surrounding the night in question. “There’s nothing I can say,” he told the paper. The Governor’s office acted quickly in making the resignation public. A few hours after seeing the photos, a statement was released acknowledging the decision. Newly elected governor Ron DeSantis also spoke about the incident at, ironically, a news conference on hurricane relief in Marianna. He praised Ertel’s short stint but recognized that his ability to lead would surely be hindered by these revelations. Ertel was just sworn into office January 8th after being appointed by DeSantis on December 28th and had received praise for his record on voter registration. He was currently overseeing the impactful project of implementing Amendment 4, which was just approved by voters in November to restore the voting rights to 1.4 million ex-felons. For those who still have active Twitter accounts, they have been voicing their opinions. Many have condemned the outfit but reminded people that he recently had bipartisan support for his political efforts, while others have said the decision to wear blackface was simply unacceptable and part of a larger problem. It’s not just blackface. Her was mocking Hurricane Katrina victims. That should be in headline. Tasteless costume, but the guy was praised by both Dems and Reps when installed in office. He’s an MLK award recipient from the city of Longwood and is constantly praised for outreach on expansion of voting rights to minority communities. Do you think Mike Ertel made the right decision by resigning as Florida’s Secretary of State?